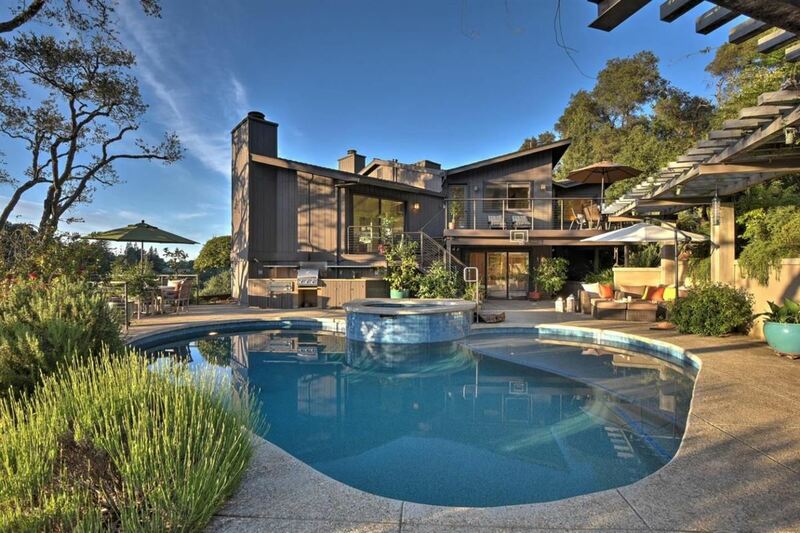 Nestled in the Saratoga foothills just above downtown Saratoga, California is this mid-century modern classic. This beautiful property enjoys spectacular views and wonderful peaceful ambiance. 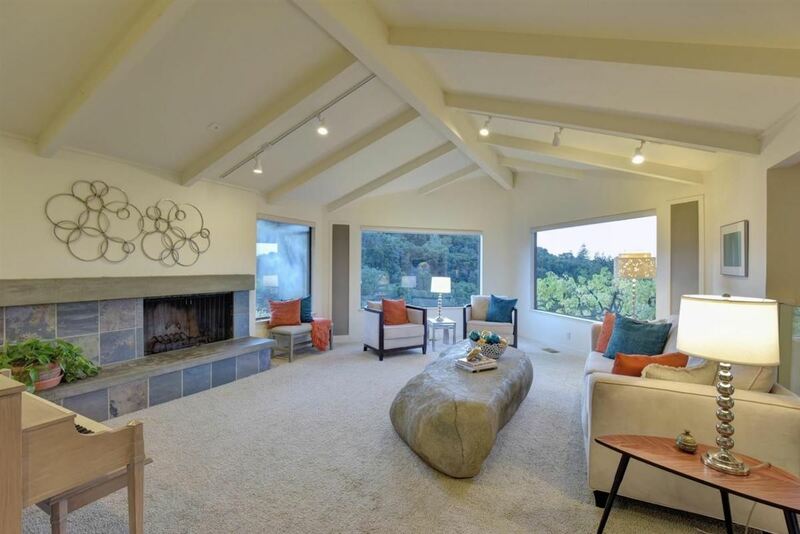 Angled architectural design elements and vaulted ceilings create an open and airy flow. 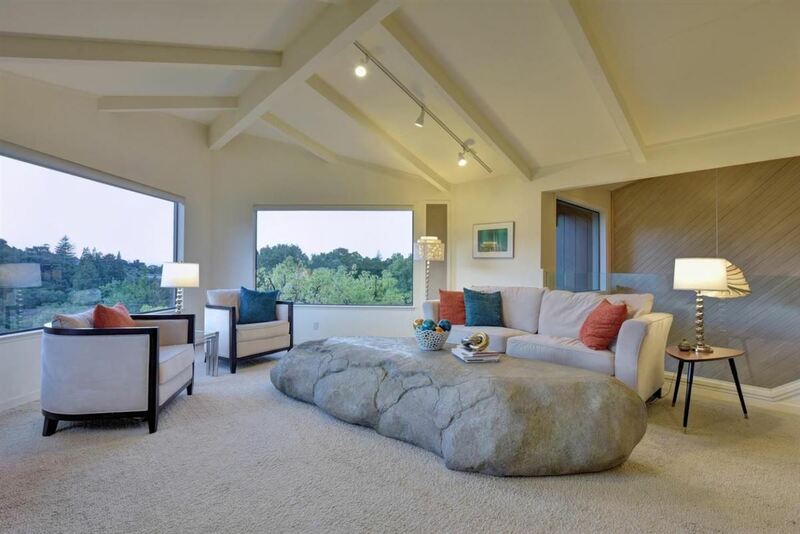 Large picture windows stream in natural light and frame the beautiful views of the Saratoga foothills and city lights. 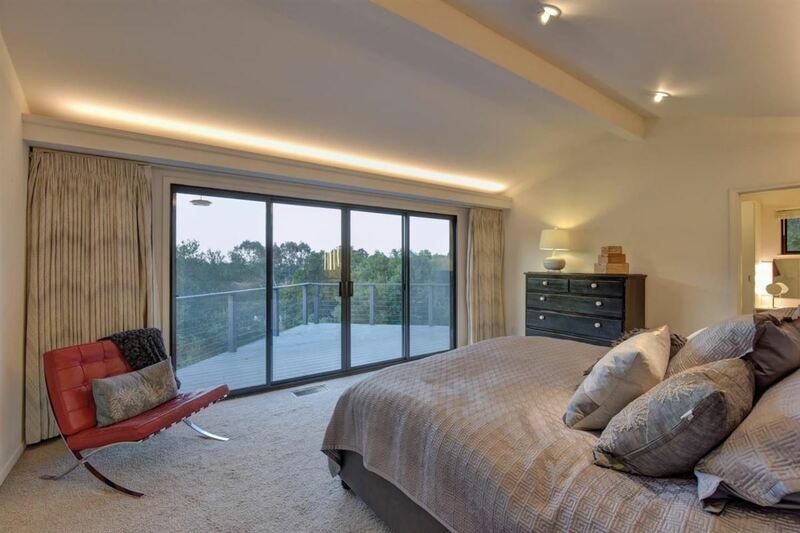 Four spacious bedrooms each with attached bathroom including the master suite on the main floor plus an en-suite bedroom with kitchenette and private access to the rear yard. 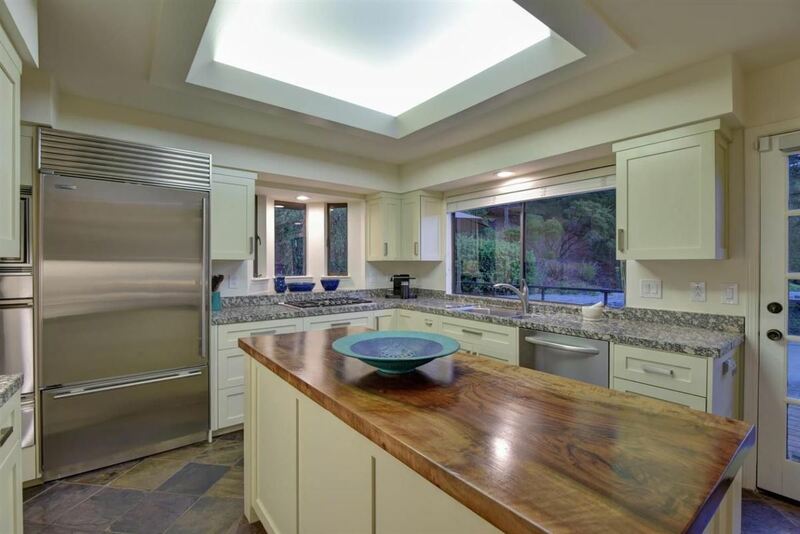 The kitchen has granite slab countertops and stainless appliances. A large deck, solar heated pool, and spa and built-in outdoor grill area is perfect for entertaining plus a generous space for bird’s eye views or a sunny garden. This incredible home is listed for $3.25 million with Alain Pinel Realtors, an affiliate of Luxury Portfolio International.